Diane Rosenstein Gallery proudly presents "The Seven Year Itch," a group exhibition celebrating the seventh anniversary of the gallery. 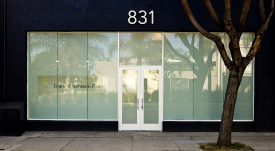 Diane Rosenstein is a contemporary fine art gallery located at 831 North Highland Avenue in Hollywood, CA. Exhibition plans include alternating 20th Century Post-War historical exhibitions with presentations of Mid-Career and Emerging Artists.